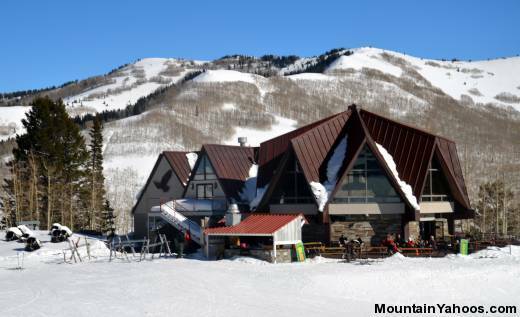 Lodges: Eagle Springs, Powderhorn, Creekside, The Inn at Solitude and The Crossings. The Austrian style main village gives Solitude a cozy quaint feel and style. Solitude Mountain Resort also has a significant allocation of land dedicated to cross country skiing at its' Solitude Nordic Center. These wooded trails start and end at the base village or at the parking lot down the road. On the main alpine downhill ski runs, there is certainly a level of solitude which is appreciated by powder skiers as the powder remains fresh and can last a day or two before being tracked out. 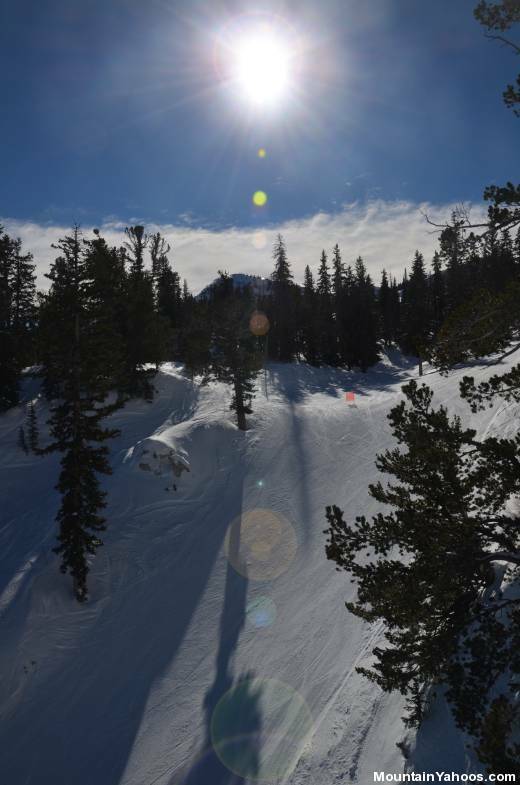 Solitude provides a complete variety of terrain from easy green runs to the powder in the trees and the advanced double black diamond runs of Honeycomb Canyon. The beginner and advanced double black diamond trails are well separated allowing the beginners to ski in peace. 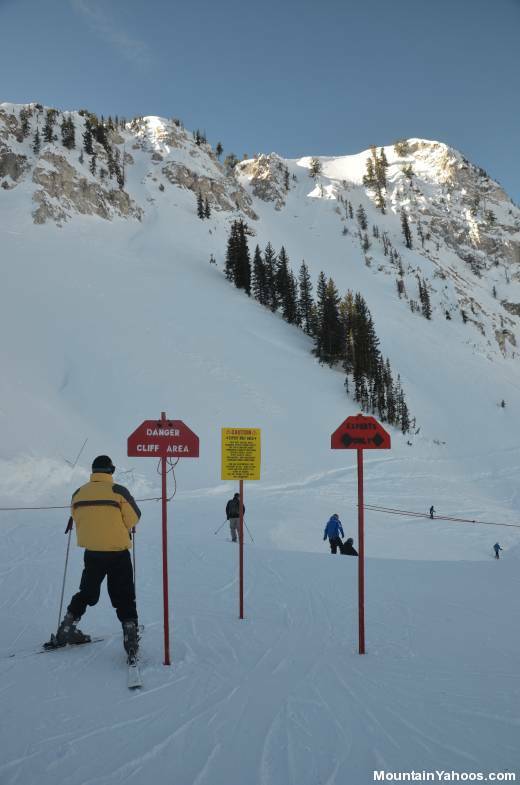 Also note that Solitude is connected to its neighbor in Big Cottonwood Canyon Brighton Ski Resort by a trail accessible from the top of Sunrise lift. This access requires the multi-resort ticket. 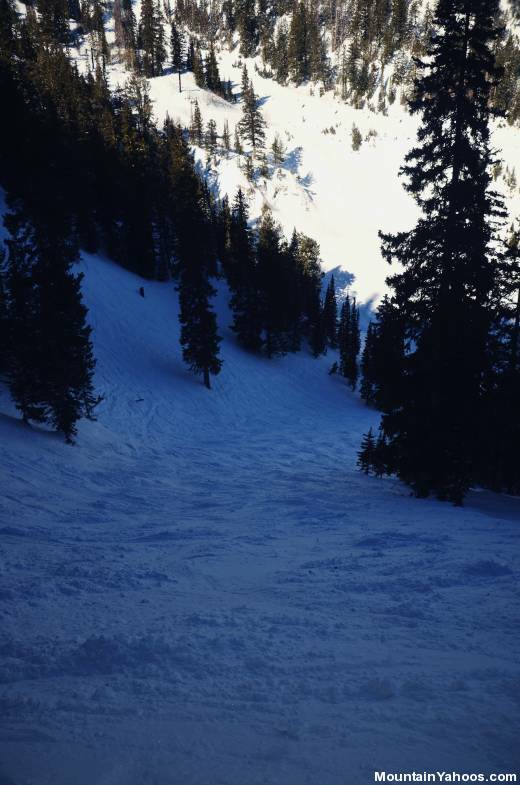 This mountain has plenty of terrain for the beginners and intermediates which is found primarily at the lower elevations. 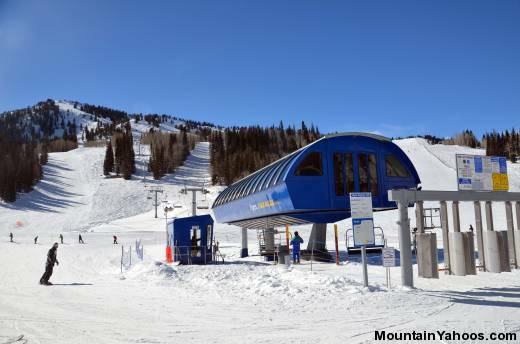 The advanced terrain is primarily accessible from the Powderhorn II, Summit and Honeycomb lifts and at the higher elevations. Honeycomb Canyon greats you with a gate to remind you that this is expert territory. Note that this is in-bounds and is serviced by the Honeycomb return lift. It is a fitting name for this resort, Solitude. You will find hidden pockets of powder everywhere on the mountain even weeks after a storm and especially in the trees. This is a mountain where lift lines and crowds are not a problem. 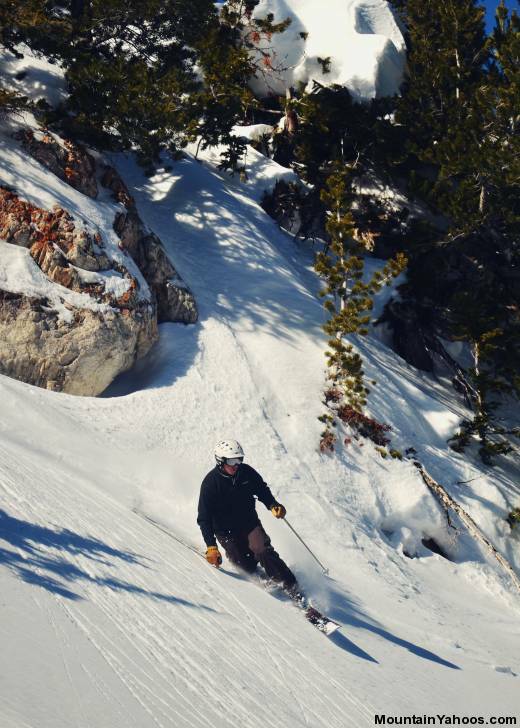 Happy powder hunting. Moguls are certainly plentiful on the more advanced runs but they don't seem to be the signature terrain of this resort. 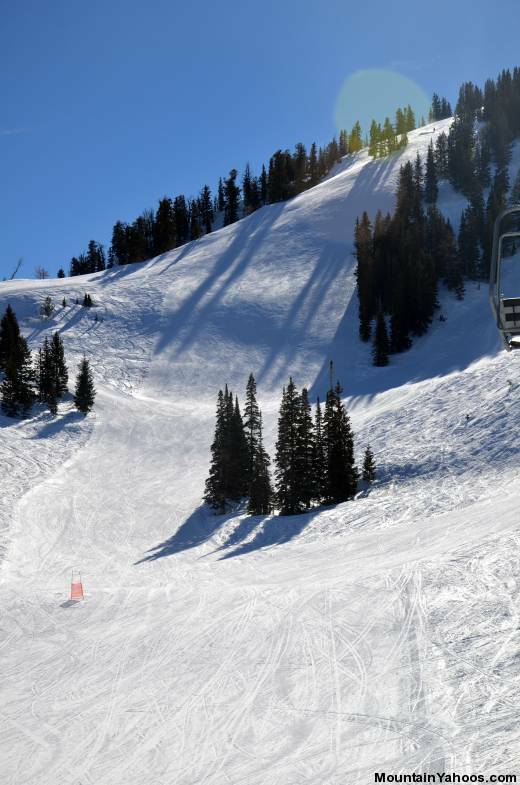 The most consistent and well formed moguls were found under the Sunrise chair lift on a run called "Roller Coaster" and on Concord under Powderhorn II lift, either of which can lead to significant thigh burn. 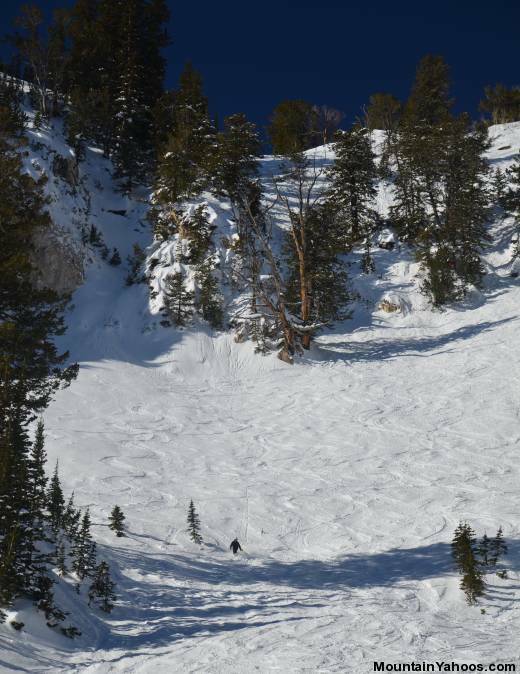 Solitude Resorts calls the far side of Honeycomb Canyon "Off Piste" although it seems to be within the resort boundaries. 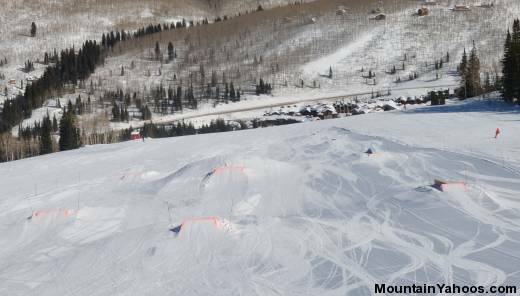 Solitude lists just one terrain park and actually calls it a "Fun Park" so as not to disillusion the board park big air heroes. The "Fun Park" will be fun for beginners and the little ones. 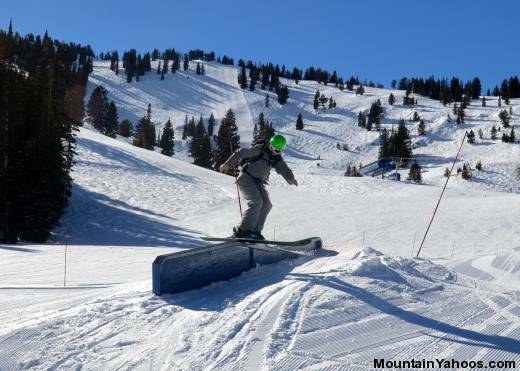 One goes to Solitude for its terrain and not its terrain park. Solitude is not a shopping mecca nor is Salt Lake City but Park City certainly is. 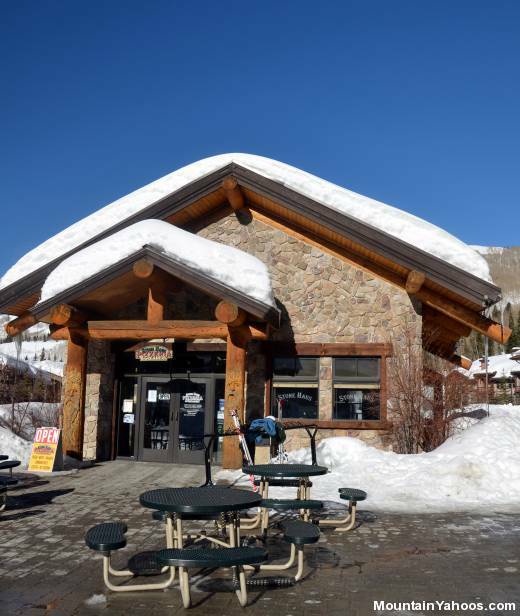 Basic necessities can be purchased at the Village Store (Resort Lodging check-in area). Each base area of the mountain has a rental/repair store to fulfill your alpine needs. Salt Lake City is a short drive away and clearly your best option if you are seeking nightlife. One must first get to the Salt Lake City area which is a Delta Airlines hub with service nationwide and thus easily accessible by air. 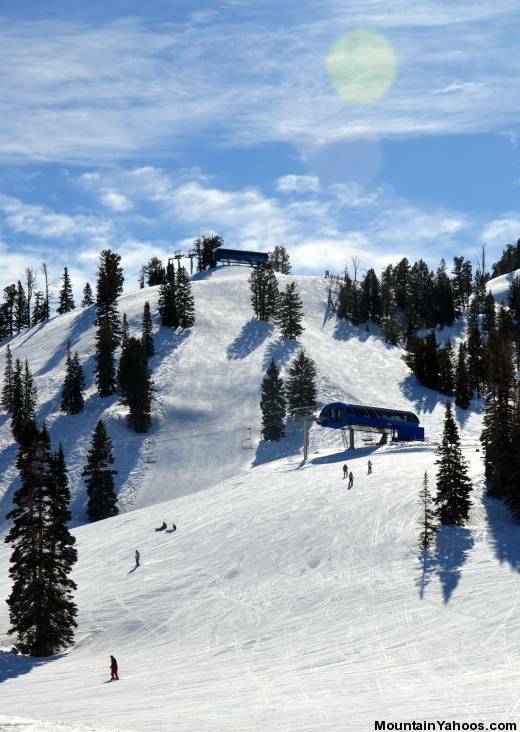 Solitude ski area is located in Big Cottonwood Canyon about 35 minutes southeast of downtown Salt Lake City. Turn right. This will eventually turn into Wasatch Blvd. Take Big Cottonwood Canyon Road (190) to Solitude near the top of the canyon. If traveling from the Salt Lake City International Airport, you will be starting your journey from interstate 215 South. UTA ski buses are available from downtown Salt Lake City hotels and 15 other hotels in the greater metropolitan area as well as "park and ride" areas along the way. Correct change is required. There is plenty of conveniently accessible lodging at the base of the mountain available as hotel rooms, condos and rental luxury homes. If this fills up try staying down the road in Lodging at Brighton Resorts.